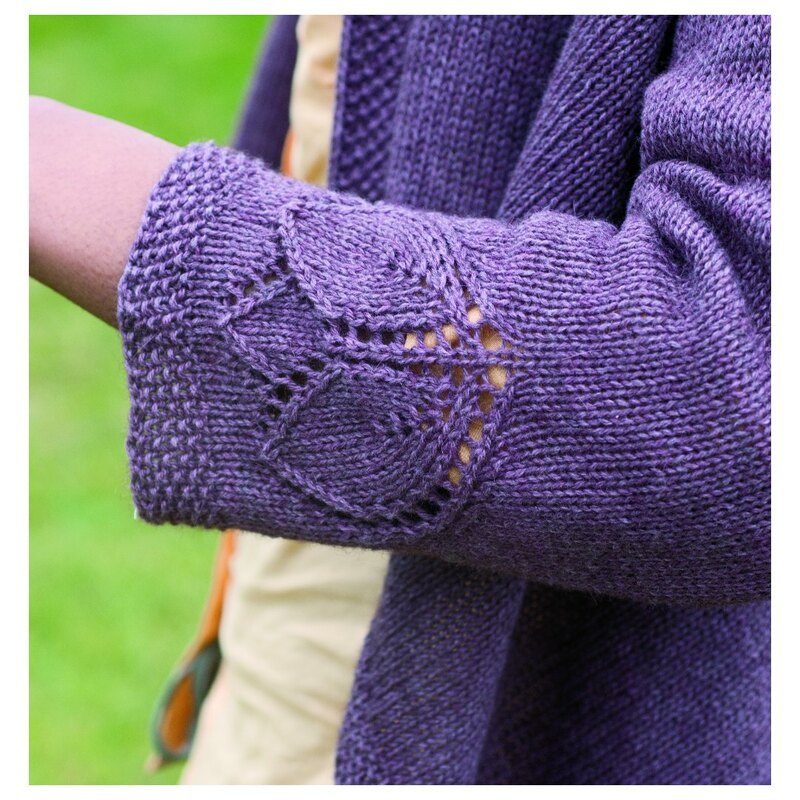 One of my favorite Interweave patterns, period, is Heather Zoppetti’s Dahlia Cardigan. And I’m not alone. 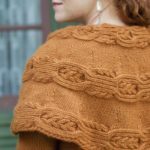 It’s long been a favorite with Interweave staff and readers alike, and was a featured design in our 100 Knits (affiliate link) book that came out earlier this year. A simple front belies a glorious back. This charming cardi is a feat of engineering. The sweater starts in the middle back, as a circular lace medallion grows from the center out. Panels are added for the front and back, and the “afterthought” sleeves are anything but, as you have to plan their placement well ahead of time via provisional stitches in waste yarn. It’s an unusual construction, but also one that is readily customizable. The dahlia motif repeats on the sleeves. Don’t believe me? 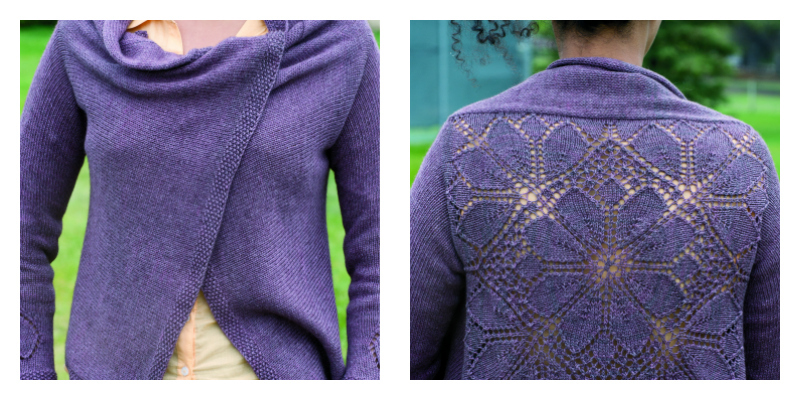 Check out Heather’s Dahlia Cardigan Knitalong download. Not only does Heather show how to properly measure one’s back, but then shows how you can combine different sizes from the schematic. I have narrow shoulders but rather heavy arms, so being able to have larger sleeves on a smaller body was genius. Heather walks you through some of the trickier bits, like a provisional cast-on—including an easier version she discovered after she wrote the pattern. She also offers tips on using double-pointed needles with a tiny number of stitches; how to pick up stitches and work flawless seams; and how to block that sweater to reveal the full glory of the dahlia design. There is also this surprising advantage to Heather’s video: she speaks in an incredibly soothing manner. Not only did I knit a sweater, I have a go-to ASMR resource whenever I need calming. Check out Heather’s workshop and cast on today!